What are the top ten things to do in Namibia? Our destination experts share their top tips. 1. 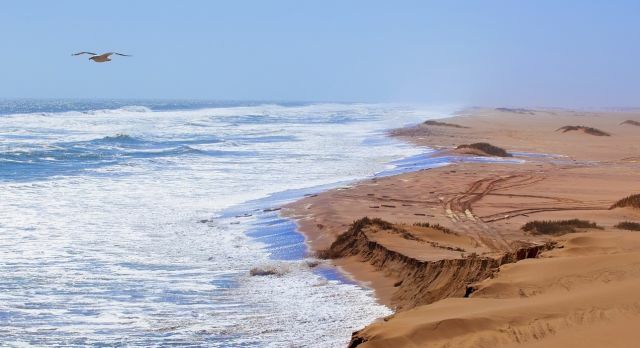 The incredibly surreal Skeleton Coast is considered to be the largest ship cemetery in the world (hence its name). The secluded and deserted coastline is one of the oldest landscape formations on earth. 2. Over 130 million years old, the now inactive Erongo Volcano provides overwhelming views of the surrounding landscape, where spectacular granite rocks rise into the sky. 3. The Namib Sand Sea is a UNESCO World Heritage site and is one of only a few coastal deserts in the world. Here you will find huge sand dunes and the barren beauty of endless deserts. 4. During a safari in Etosha National Park, you will experience more than 100 species of mammals: wild boars, elephants, wildebeest, zebras, buffaloes and the rare black rhino. Another attraction is the famous Etosha Salt Pans. 5. Head to the Waterberg Plateau for a safari where you will encounter rhinos, giraffes, antelopes, jackals, cheetahs and leopards. There are also over 200 bird species who have made this lush green conservation area their home. 6. 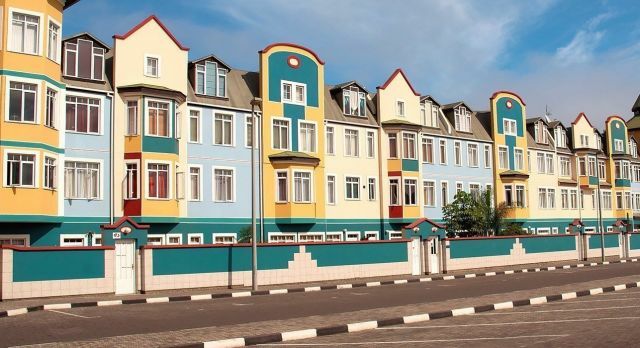 The former German colony of Swakopmund has become one of the most popular resorts in Namibia today. No wonder: palm-lined promenades and generous gardens make t his place a green oasis in Namibia’s desert landscape. 7. Unforgettable travel experience: Watch the sun rise over 300 meter high dunes. Around Sossusvlei, a mudflat in the Namib Desert, you will find some of the highest sand dunes in the world. 8. The Fish River Canyon is the second largest canyon in the world and is crossed by a river. You can enjoy spectacular views during a hike through this barren, dry landscape. 9. Top Tip for Namibia Cultural Tours: Namibia has one of the most tranquil and tranquil capital cities in the world. 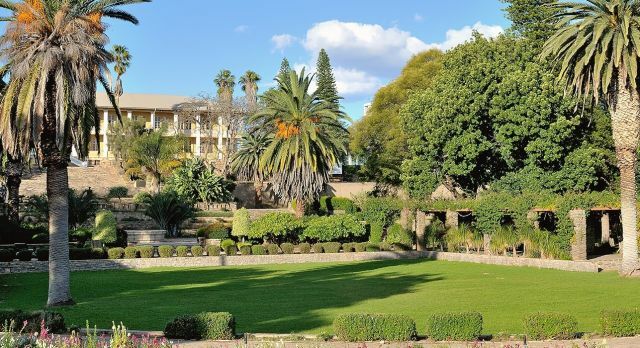 Stroll along the Independence Avenue in Windhoek, where you will find charming colonial buildings and cozy street cafes. 10. 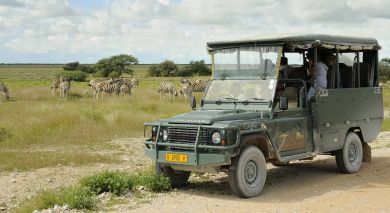 Try a mokoro safari! Head out on a small traditional boat and experience the animal kingdom of Namibia from the water. The best place to do this is in Caprivi, Namibia’s wateriest region. Would you like to discover the beauty of Namibia? Our Africa specialists can plan the ideal travel route just for you!